Sir Michael Stoute says the booking of Frankie Dettori for Ulysses in the Breeders' Cup Turf is a positive. Trainer Sir Michael Stoute believes reuniting Ulysses with Frankie Dettori can only be a positive factor in the Breeders' Cup Turf at Del Mar. Dettori rode the four-year-old to finish fourth in the 12-furlong (2400m) contest at Santa Anita last year but has not maintained the association this year because of injury and other riding commitments. Jim Crowley duly stepped in to steer Ulysses to victory in the Eclipse at Sandown and Juddmonte International at York and was aboard when he finished third to the Dettori-ridden Enable in the Prix de l'Arc de Triomphe. Ulysses had been in the frame to contest the Champion Stakes at Ascot just under two weeks ago, but owners the Niarchos Family were eager to prioritise the American event, with Stoute, who has won the race four times, opting to secure Dettori's services again. "The Niarchos Family are fervent Breeders' Cup supporters and made it clear that the Turf was what mattered," Stoute said. "I felt in the Juddmonte Jim gave him a lovely ride, getting a nice lead, and now we have Frankie, who rode him in the Turf last year, back on board, which was my decision. "Frankie has ridden him in a Breeders' Cup Turf already and I think that is a definite advantage." 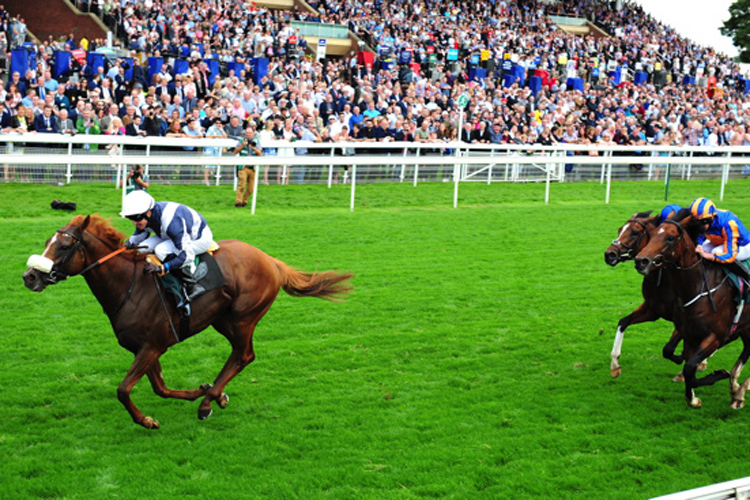 After the Breeders' Cup meeting, Dettori will fly to Australia to ride favourite Almandin in Tuesday's Melbourne Cup.